This week we have a look at three brand-new ships, the largest yet built for each of Royal Caribbean International, Holland America Line and Carnival Cruise Line. Harmony of the Seas arrived for the first time in Southampton last week, and we compare her not only with her earlier sister ships, but also with the US Navy’s “Nimitz” class aircraft carriers and with the 18,000 TEU container ship CMA CGM Benjamin Franklin, which also carries a few passengers. We also have a look at Holland America Line’s Koningsdam, which was christened by Queen Maxima in the same week. 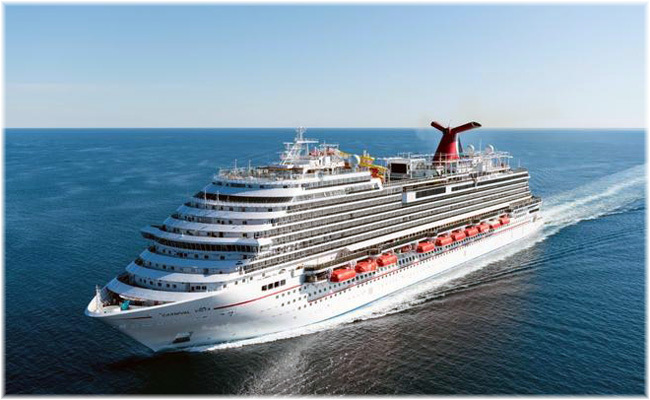 Carnival Cruise Line’s newest ship, the Carnival Vista, also entered service earlier this month. When the Harmony of the Seas arrived in Southampton last week she looked a little different than her earlier sisters Oasis of the Seas and Allure of the Seas. Not only was her top-hamper different above the bridge. She had an array of five shelters protecting her Solarium in lieu of three on the earlier ships. And aft, her new water-slides gave her a very different appearance, with brightly coloured children’s play tubes rather detracting from her lines, such as they are. 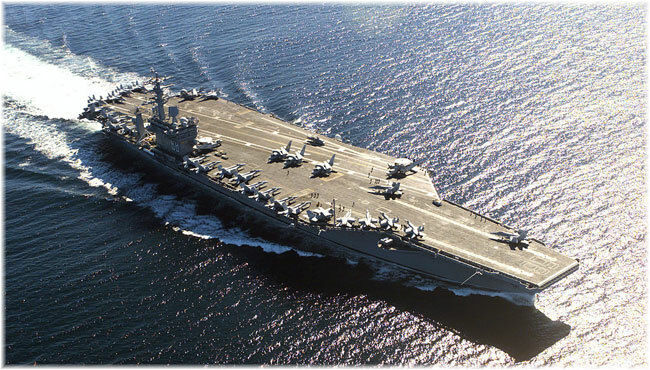 In terms of size, the Harmony exceeds her near sister ships Oasis and Allure of the Seas by less than 1% in tonnage and in length, but she is 96 feet longer than one of the US Navy’s ten “Nimitz” class nuclear aircraft carriers, which carry a crew of 3,200 and an air wing of 2,480. These large cruise ships can handle in excess of 5,400 passengers with a crew of 2,164, for more than 7,500 on board compared to 5,680 on the carriers. But where the Harmony of the Seas cost $1 billion the “Nimitz” class ships each cost $4.5 million. Compared to other merchant ships, however, CMA CGM’s new 18,000 TEU (twenty foot equivalent container unit) container ships exceed the dimensions of the Harmony of the Seas and even the “Nimitz” class aircraft carriers by length. Although registered in London, the CMA CGM Benjamin Franklin calls Southampton her home port and now runs in CMA CGM’s French Asia Line 1 between Europe and Asia, including China. 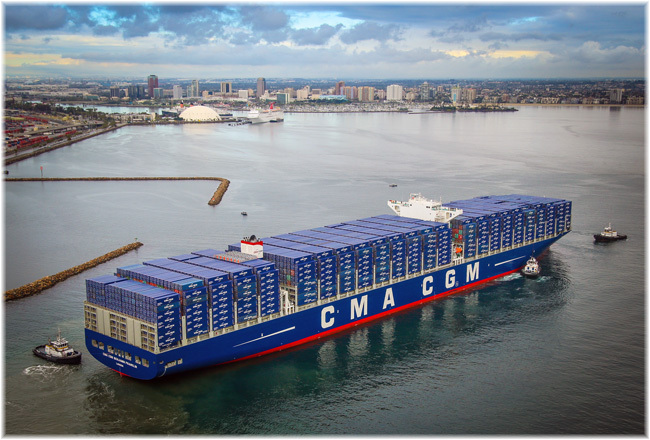 Five months ago she became the largest container ship ever to call at a North American port when she arrived at Long Beach on December 26, 2015, on an experimental Transpacific crossing. The half dozen ships of this class each carry either eight or ten passengers. And compared to other cruise ships, they are substantially wider than the Queen Mary 2 and the “Quantum” class ships. The latest pair of “Oasis” class ships (a fourth is under way at St Nazaire for delivery in early 2018) incorporate many of the public areas and features of the more recent 4,180-berth “Quantum” class ships, chief among these being two robot bartenders. 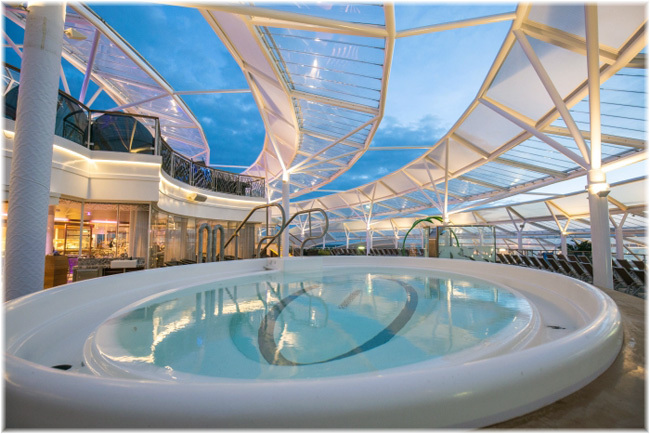 They are also the first of the “Oasis” class ships to incorporate three water-slides plus a 10-deck slide called the Ultimate Abyss. Harmony’s design is significantly more efficient than the original “Oasis” class duo, with a combination of hull design and bubbler system, making them 20% more fuel efficient than the originals, as well as a scrubber system to reduce emissions. Much of the new “Quantum” class check-in technology has also been incorporated into the new “Harmony” class ships. Royal Caribbean has announced that it will hold a contest in schools to determine who will sponsor its new flagship. Meanwhile, she sailed from Southampton on her first revenue voyage to Barcelona yesterday, Sunday May 22. Holland America Line’s new 99,836-ton 2,650-berth Koningsdam was one of two ships to be delivered recently to Carnival Corp & plc brands. 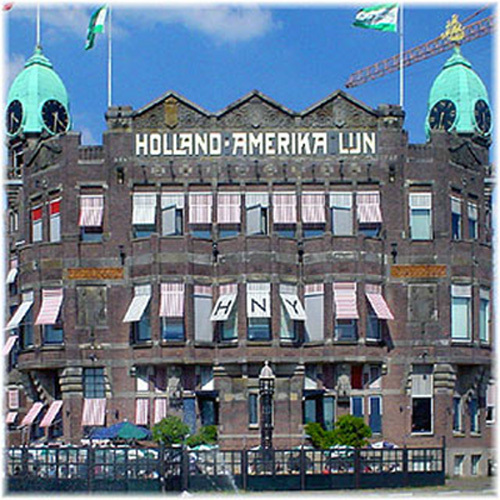 The Koningsdam was christened last Friday, May 20, by Her Majesty Queen Maxima of the Netherlands, next to the historic Holland America Line headquarters at the Wilhelminakade in Rotterdam, which now operates as the Hotel New York. Unfortunately, the five decks piled above the bridge do not add to the new ship’s appearance. While less unsightly than the five-deck carbuncle on the 155,873-ton 4,200-berth Norwegian Epic, this new five-deck addition gives the ship a piled up appearance. This should be compared with the four-deck height above the bridge on the last Holland America ship, the 86,273-ton 2,106-berth Nieuw Amsterdam, delivered six years ago. As Koningsdam has only four decks between the main deck and the bridge, the extra deck on top is aesthetically one deck too far. A sister ship now under construction at Fincantieri for delivery in the autumn of 2018 is oddly to be named Nieuw Statendam. There have been five previous Statendams, including the last, which now sails as P&O Australia’s Pacific Eden. 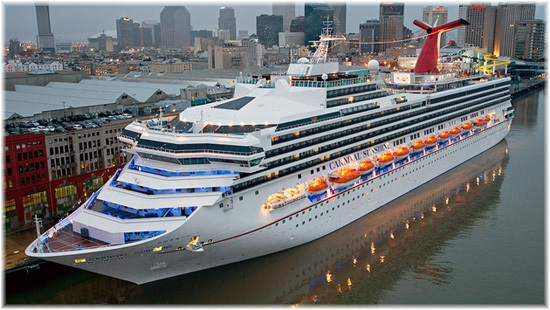 The second Carnival Corp & plc delivery was Carnival Cruise Line’s 133,596-ton 3,954-berth Carnival Vista. The new ship became the line’s 25th when it entered service on May 1, and its first newbuilding since the 28,251-ton 3,690-berth Carnival Breeze in 2012. 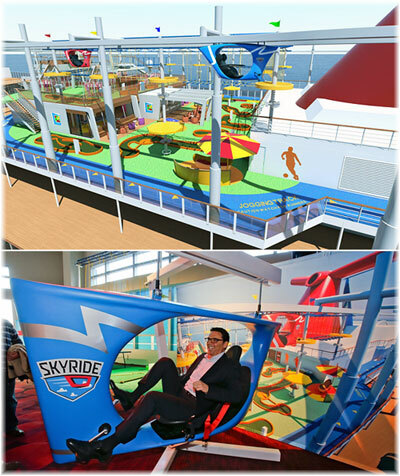 As well as continuing Carnival’s move to wrap-around promenades and better use of outdoor spaces, the new attractions on Carnival Vista include her SkyRide pedal track 150 feet above the sea, a Red Frog Pub, a New England-inspired Seafood Shack restaurant, the first IMAX cinema at sea, Havana Cabanas equipped with swing chairs and a Family Harbor area with its own private lounge for adults and children. The Carnival Vista, like the Carnival Breeze before her, has the same top-heavy look up forward as the Koningsdam, with five decks above the bridge and four below. 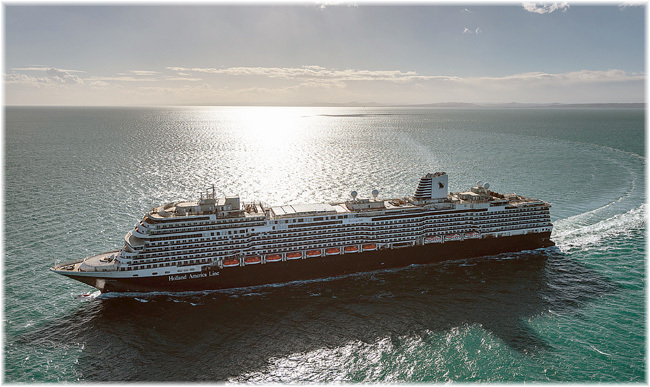 With its spread to Holland America Line, it now seems that this is the standard for Carnival group ships and will be in future as well, with the newbuildings for Costa Cruises and P&O Australia. This idea actually started with Carnival back in the year 2000, when the 101,509-ton 2,758-berth Carnival Victory added another deck up forward compared to the Carnival Destiny, the first 100,000-ton cruise ship, which dated to 1996. Carnival Destiny herself has since been rebuilt as the 102,853-ton Carnival Sunshine, having now acquired the same build-up forward. The new Carnival Vista is now operating a schedule of 8- to 13-night Mediterranean cruises from Barcelona and Piraeus, until October 2016. She will then position to New York in November for two 11-night cruises before entering year-round Caribbean service from Miami. A further member of this class is on order at Fincantieri for delivery in the spring of 2018. This vessel, as yet unnamed, will spend at least one season cruising in Europe once she is delivered.